Your kids are likely the center of your universe -- and that shouldn’t change in the midst of a divorce. 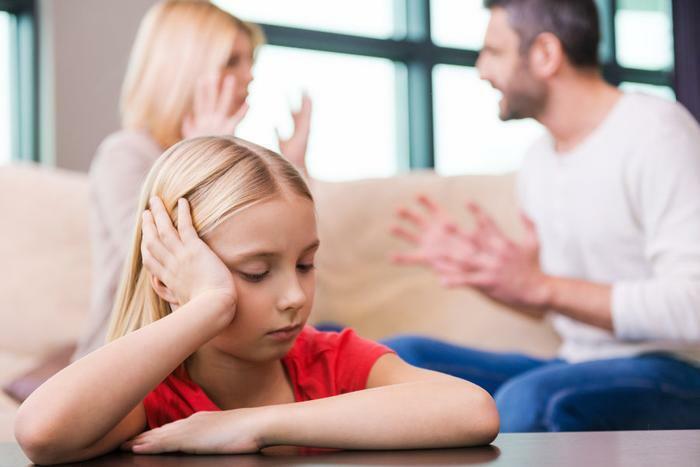 Parents going through a divorce or separation need to make sure their children’s needs are put first, according to child custody expert Marlene Bizub. In her book “Contentious Custody: Is It Really in the Best Interest of Your Children?”, Bizub draws from her own experience in order to provide pointers for parents looking to help their children adjust to the change. Divorce can have a lasting impact on children, but there are a few things parents can do to make the change easier for kids to handle. Bizub offers the following tips for divorcing parents. Conflict may be swirling between you and your soon-to-be ex partner, but try to keep negative talk under wraps in the presence of your kids. Avoid speaking negatively about your child’s other parent, and make sure others also watch what they say around the kids. Since children derive their identify from the two of you, putting down the other parent is like putting down the child as well, says Bizub. Let your kids be kids; refrain from exposing them to adult issues. When it comes to broaching the subject of divorce around your kids, sensitivity is key. Bizub says it’s crucial to be sensitive in the manner by which you introduce new significant others or stepparents into their lives. “You might be on down the road from the separation mentally, but your children are not,” she said, adding that children also shouldn’t be used as messengers. Do not use your kids to relay messages or deliver child support payments to the other parent. Additionally, be sensitive to the fact that your kids may try to manipulate the situation. “If they do not think the two of you will talk, you are creating an environment that is ripe for this type of manipulation,” said Bizub. Provide reassurance to your children that both parents still love them. Do not make them feel as though they have to choose between the two of you. Allow them to express their love for both of you freely. Finally, do not try to assume that you know how your children feel. “Even if you are a child of divorce, every divorce situation is different and individuals respond differently,” Bizub said.